“Appreciated today’s presentation and your insight. As experienced in years that I am as well as attending many CE classes I have never taken a course like yours and I learned “ a lot”(if that is a correct phrase). instructor and Leigh was there, too. 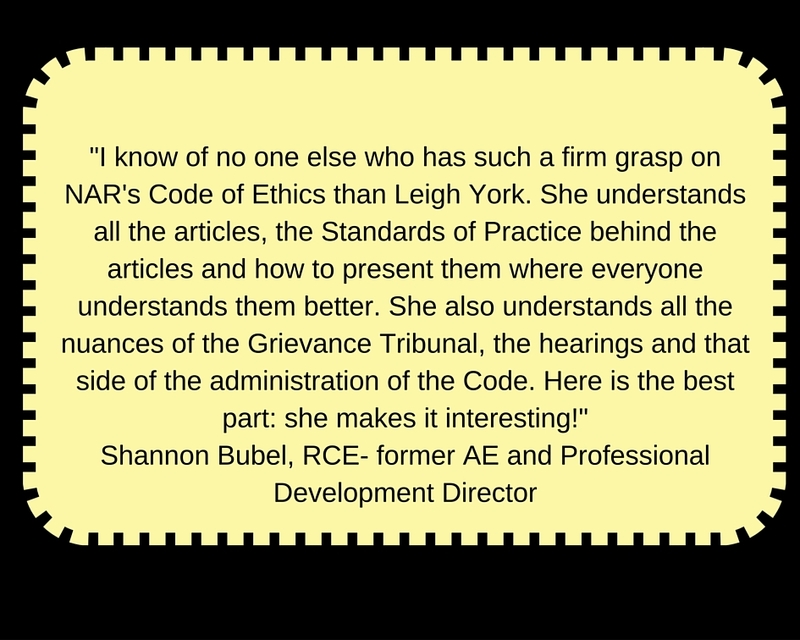 It was so evident to me that she knew our industry and what was the right and wrong both in the treatment of clients, in the legal issues that can arise, and in her desire to impart what she had learned from childhood about our wonderful industry. 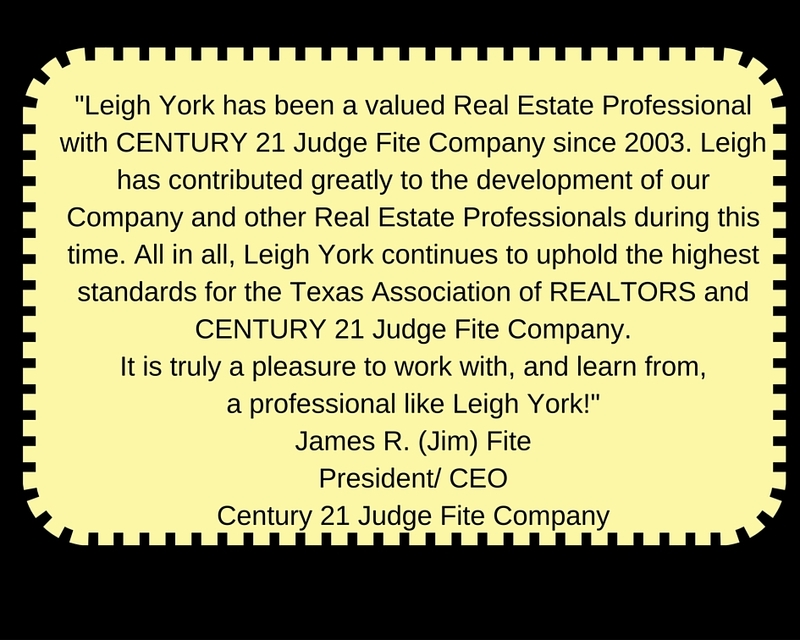 Leigh has been instructing in our company on various subjects all these years since 2003 when we can schedule classes in between her other teaching commitments around Texas as she has made so many loyal fans in other real estate associations and organizations. 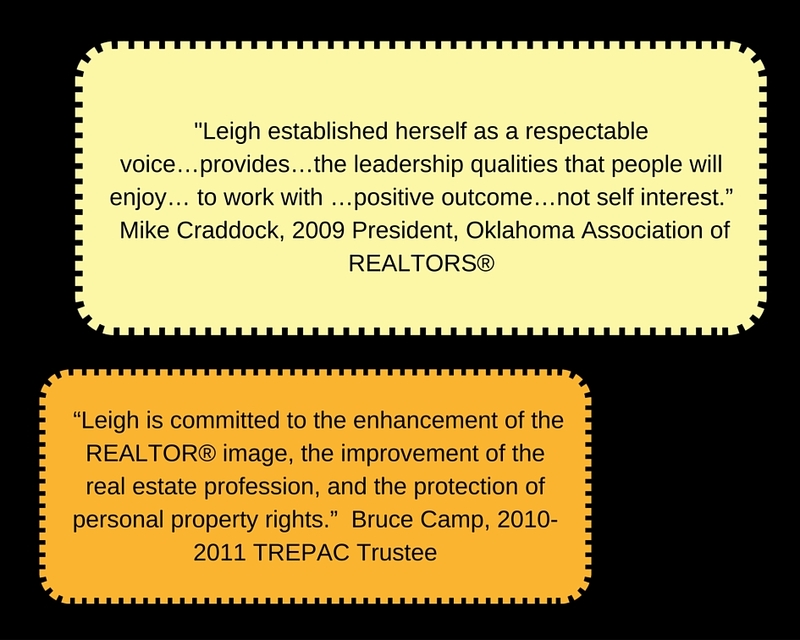 She was heavily involved when we revamped our in·house training program several years ago. She became a certified mentor for Brian Buffini’s Peak Producers and hosted classes for our company. practical and level headed influence. 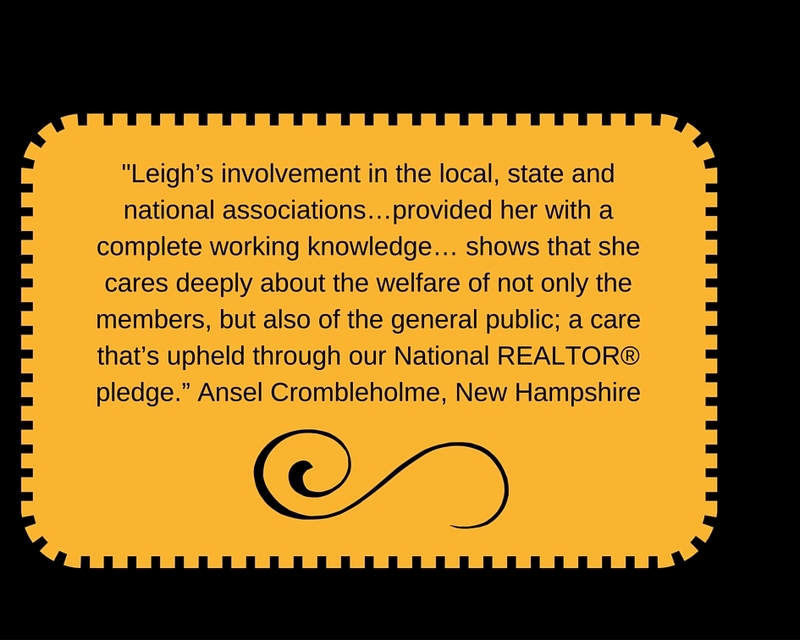 The Greater Providence Board of REALTORS®, Northern Rhode Island Board of REALTORS® and Rhode Island Commercial and Appraisal Board of REALTORS® cooperatively retained Leigh York to present Professional Standards Training (October 10, 2018) to their Grievance Committee Members, Professional Standards Committee members and Boards of Directors. Leigh was on point in communicating and preparing with me in the months prior to our event, and I highly recommend her training services.